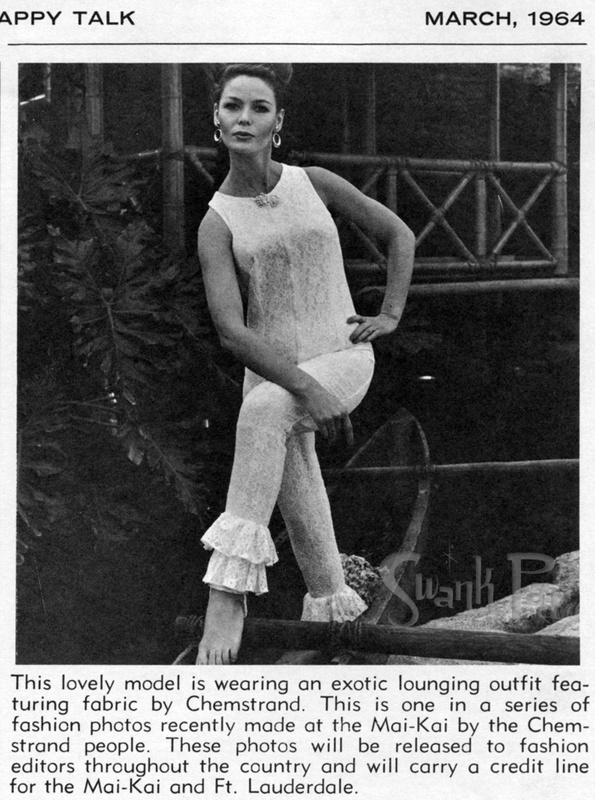 March 1964 image from the Mai-Kai’s “Happy Talk” newsletter. The Mai-Kai was the backdrop to many ad campaigns. This entry was posted in Articles, Ephemera, The Building and tagged ad, Mai-Kai, model, tiki. Bookmark the permalink.